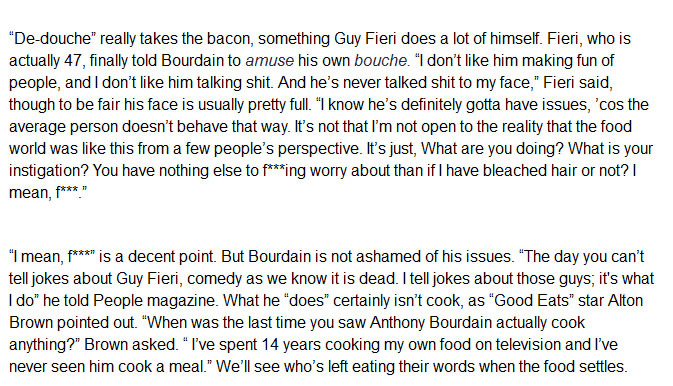 Guy Fieri and Anthony Bourdain don't like each other and it doesn't look like that's going to change anytime soon. 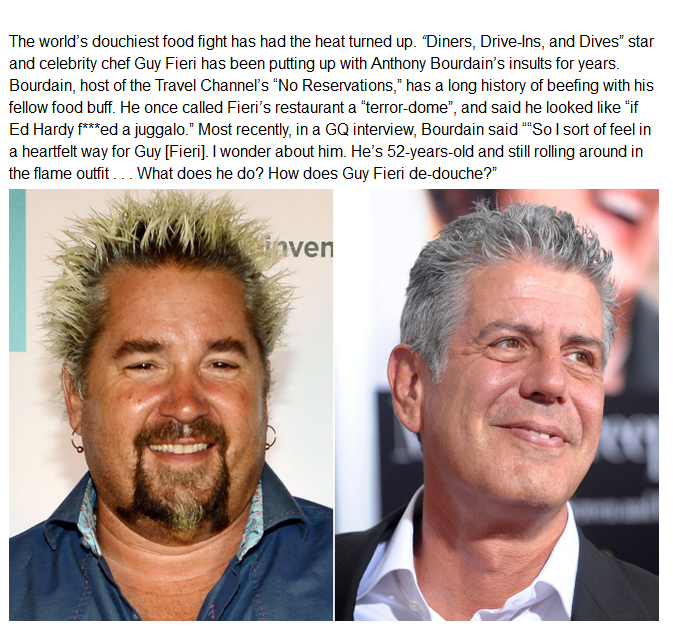 two pretentious idiots who's only call to 'fame' is that they cook. don't. care.really.